The Dudjom Tersar Ngondro Program of the Vajrayana Foundation wishes to thank Lama Pema Dorje Rinpoche for offering his chanted recording of HH Dudjom Rinpoche’s SaTer Ngondro. May it be an inspiration for our practice! 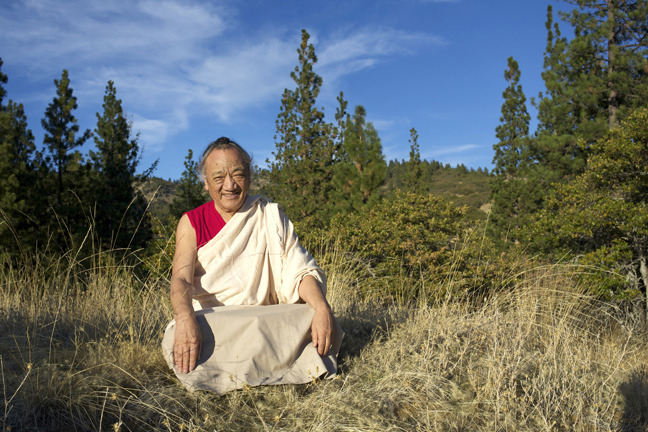 Pema Dorje Rinpoche was born into a yogi family named Jova, whose ancestors can be traced back to Milarepa’s paternal line. His father Kathok Rigzin Dorje Rinpoche was a disciple of Taklung Gangshar Rinpoche and Taklung ChoDung Rinpoche. From these two teachers Rinpoche received the entire Longchen Nyingthik teachings, as well as the Machig Labdron Chod teachings. When he was twenty he went to Mount Kailash for an extended retreat. After that he met Drubwang Serta Rinpoche, a lineage holder of the first Dudjom Lingpa’s treasure teachings, from whom he received the main Troma Nagmo practice which he continues to practice. Afterward, he became a follower of the Dudjom Tersar lineage.